Success! Operation Billionaire is off to a great start. Beatrice is away on a luxury honeymoon with her billionaire. Now, it’s Olivia’s turn. Snagging a job as personal assistant to hottie billionaire Rock Clarke, she’s in his house and with a little encouragement, she could be in his bed. But Olivia comes with a lot of baggage in the form of her four children, and Rock is a confirmed player, not a diaper changer. Olivia’s Operation Billionaire backup – her mother and her friend Rosalind – won’t give up, though, until Rock is saying, “I do” and Olivia has her happily ever. 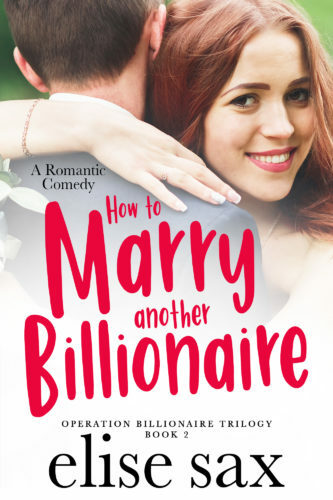 How to Marry Another Billionaire is the second book in the hot and hilarious new trilogy by the author of the Matchmaker books. This is a full-length novel, perfect for fans of billionaire romance, romantic comedy, and chick lit.